You guys. I just made my very first sewing project with the Cricut Maker and I am in love!! 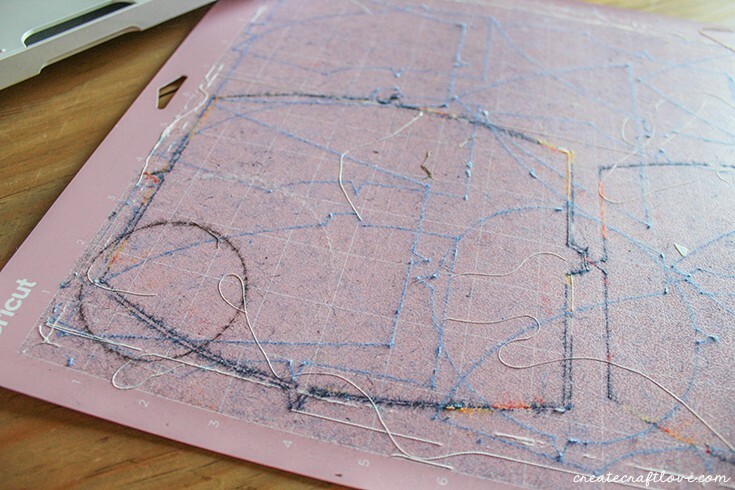 The machine comes with 50 FREE sewing patterns for you to dive into. 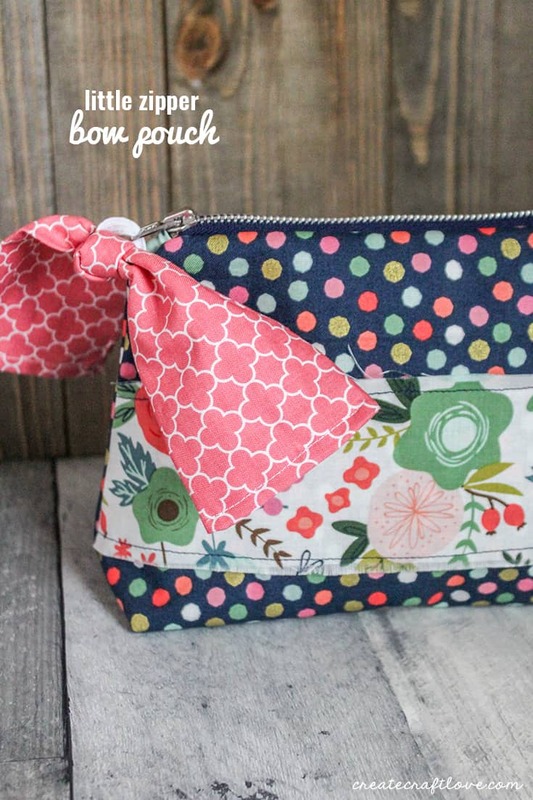 This Little Zipper Bow Pouch is a great project for beginners and experts alike! 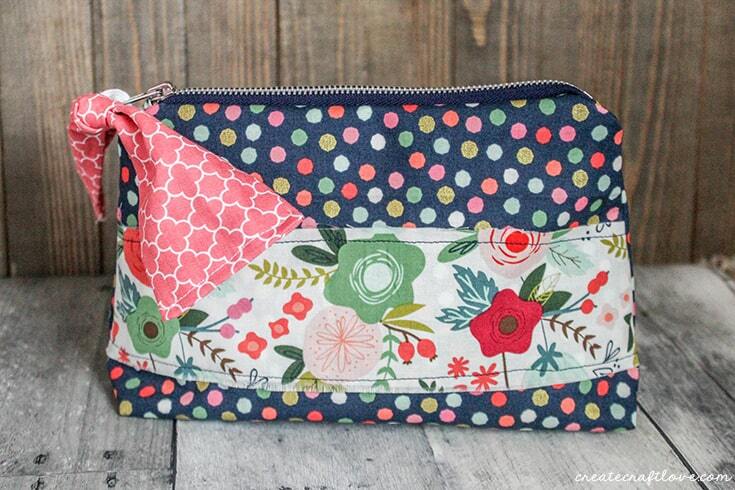 First of all, can we just take a second to admire the gorgeous fabric from Riley Blake and Cricut? 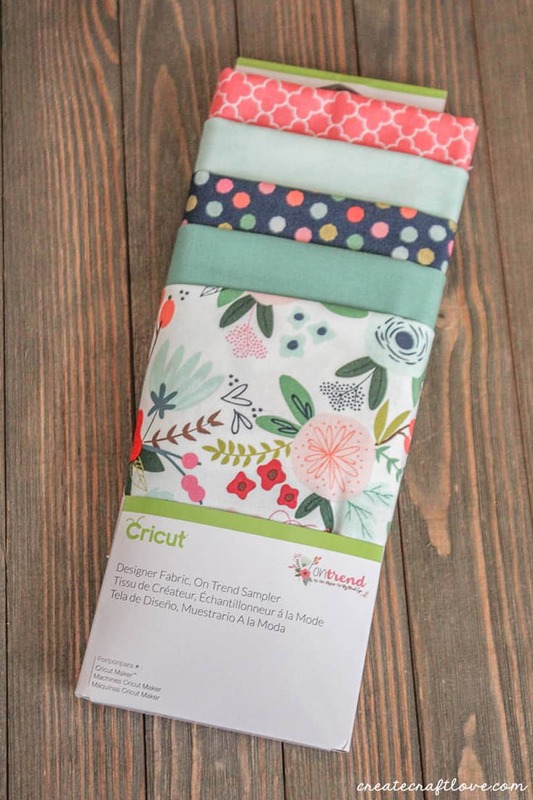 I am in LOVE with this fabric line! It’s so bright and cheerful. Anything made with these textiles is sure to bring a smile to the recipient’s face! The sewing projects are my favorite addition with the Cricut Maker! The machine comes with the rotary blade and the new pink fabric mat. Throughout the Make-a-thon event we were told not to scrape off the fabric threads that stick to the mat. It actually pushes the fibers into the adhesive and makes the mat less effective. For those of you with OCD, you just have to deal with it or use your transfer tape to clean it. I have purposely NOT cleaned mine to show you how well it will continue to cut. To date, this mat has made 12 different projects and I have not cleaned it once! 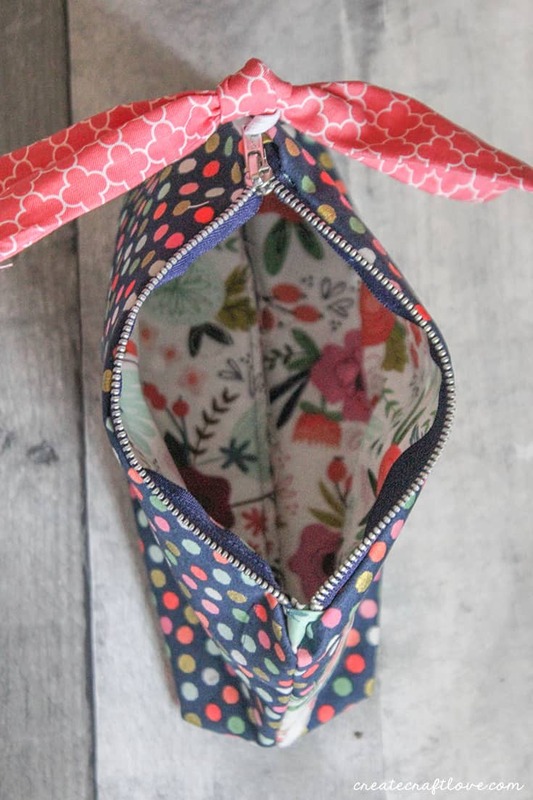 Each sewing pattern includes a PDF file with materials and instructions that can be printed and taken to the fabric store. For this project, each step includes a picture which makes it super easy to follow. The beauty shot from Cricut does not show the adorable bow but I included it in mine because it was just too cute! I ended up giving this to my sister for her birthday and she loved it! I can’t wait to make Christmas presents for everyone! What else can be made with the Cricut Maker?